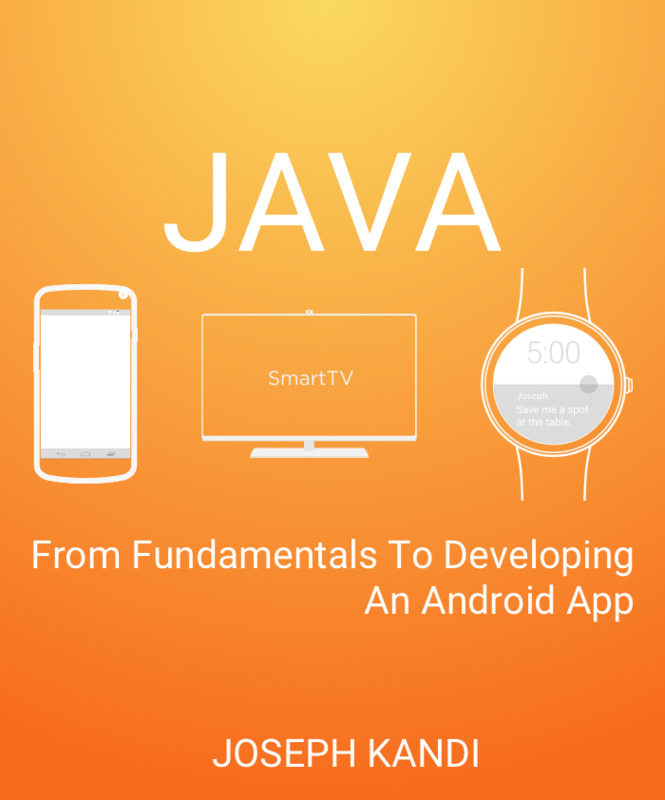 This is an interactive Java guide that anyone can use you to get up to speed with the Java programming language. You will be able to run the code interactively and practice the skills as you learn. There&apos;s no need to setup or download any software. Instructions for setting up a local Java development environment are at the end of the book. The goal of the book is to equip you with a strong foundation in Java and become proficient with the language and its syntax. We will use this knowledge and build upon a complete Android mobile app in the second part of the book. The Android App we will finally build is published on the Google Play Store here.